Hide deals from seller "Outkast Clothing"
Limit 1 per person and 1 per transaction. Valid on a Power Balance™ bracelet. Available in a variety of sizes and colors. New customers only. Promotional value expires 365 days after purchase. Look like a pro even when you’re off the court with 50% off a Power Balance™ bracelet from Outkast Clothing in Hammond ($10 value). This fashionable sports accessory comes in a variety of colors like blue, green, red and yellow, adding a colorful kick to any workout. Outkast Clothing is a family-owned business that offers all the items you need to build a fantastic wardrobe. From designer shoes, shirts and jeans to Krazy Eyes colored contact lenses, Outkast will help you look trendy year-round. 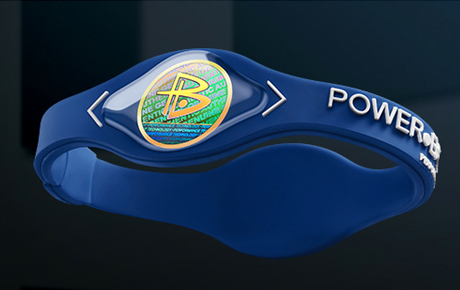 Their Power Balance™ silicone wristbands contain two holograms and stretch to easily fit over your hand. Whether you’re playing your favorite sport or just want to accessorize, it’s a perfect addition to your style. Store in Hammond offering urban apparel, accessories and perfumes for both men and women.